When Tony Abbott made the ”captain’s call” to put the Greens last in Liberal preference flows, many people thought he had sounded the death knell for the Greens’ chances of ever again holding a seat in the lower house. 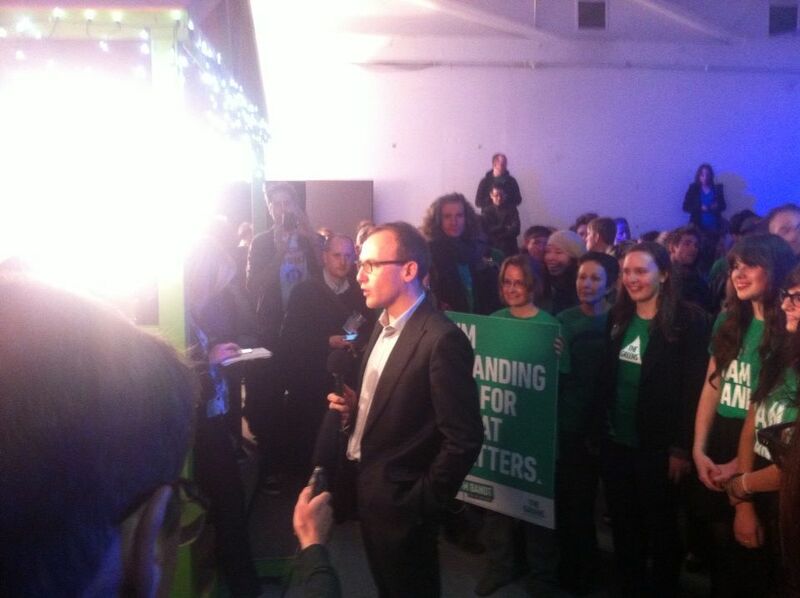 But at Adam Bandt’s election-night party in a West Melbourne warehouse on Saturday, a different story unfolded. About 8.15pm the crowd was politely instructed by Bandt’s media man, Damien Lawson, to keep quiet because the candidate was about to do a live cross to ABC television. Some of us standing close to Bandt were asked to stand back because they only wanted people wearing green T-shirts in the shot. This was typical of the nuanced, tightly managed campaign his team had run – and it all seemed to have paid off. When the ABC called the seat for Bandt a few minutes later, there was no stopping the crowd from screaming in jubilation. How did he do it? Bandt’s campaign played directly to Tony Abbott and Kevin Rudd’s weaknesses among progressive voters. As the ALP shifted to the right on issues including refugees, university funding and economic vision, the Greens kept their messages simple and clean: ”Standing up for what matters”, including a fair go for refugees, clean energy, marriage equality and workers’ rights. Last-minute Coalition costings including $4 billion-plus in cuts to foreign aid, a boost to road funding by cutting money for rail, and the promise of billions saved by abolishing the carbon tax, cutting the humanitarian refugee intake and stopping the boats might attract voters elsewhere, but for many in Melbourne they represented a step too far. A donation of $300,000 from the Electrical Trades Union and an energetic army of volunteers meant that Bandt’s campaign advertisements and messages saturated his seat in the last weeks before the election – including billboards in the CBD, phone box ads in Fitzroy, newspaper ads, web-based banner ads and sophisticated online engagement tools. In the last 24 hours before the vote, about 2500 doors were knocked on in the electorate. This was a well-managed, high-budgeted but still grassroots campaign in one of the most progressive seats in the country – and it worked. Bandt’s sharpness in both appearance and message delivery helped to ensure he didn’t alienate more centrist voters while appealing to urban hipsters. His campaign managed to convince many that this was a winnable seat for the Greens, and that a vote for Bandt in Melbourne would hold more significance to the overall election result than a vote for either major party. Moreover, the Melbourne Greens managed to draw many new voters by appealing to their better angels and against the language of ”stop the boats” and ”scrap the carbon tax” coming from both major parties. The result is particularly significant in that it proves the Greens are able to mount a successful House of Representatives campaign and take the seat without relying on preference flows. For the victory to come in a seat that is one of the nation’s more affluent, with one of the highest percentages of university educated constituents, points to the Greens as a party capable of representing modern, urban sophisticates, not just dyed-in-the-wool greenies. The Melbourne win will become a case study for future Greens campaigns around the country. While helping to bolster Melbourne’s reputation as Australia’s most progressive city, the result is also a significant rebuke to the Coalition and the Murdoch press, both of which have openly argued for the death of the Greens. Melbourne voters have kept alive the claim that the Greens are the third force in Australian politics, perhaps at a time when it is needed most.